Microsoft's decision more than a year ago to require most Internet Explorer (IE) users to upgrade to the newest version appears to have had a disastrous impact on the browser's share, recently published data shows. In August 2014, Microsoft unexpectedly told most IE users that they had to be running IE11 by Jan. 12, 2016, about 15 weeks from now. After that date, Microsoft will support IE9 only on the little-used Windows Vista and Windows Server 2008; IE10 only on Windows Server 2012; and only IE11 on Windows 7, Windows 8, Windows 8.1, Windows 10, Windows Server 2008 R2 and Windows Server 2012 R2. Also on the support list was the new Edge, exclusive to Windows 10. Customers who run a non-sanctioned IE version after Jan. 12 will not receive security updates. Projections by Computerworld, based on the the rate of decline in the up-for-retirement IE editions, now point to between 39% and 41% of those running a Microsoft browser in January being severed from security updates. 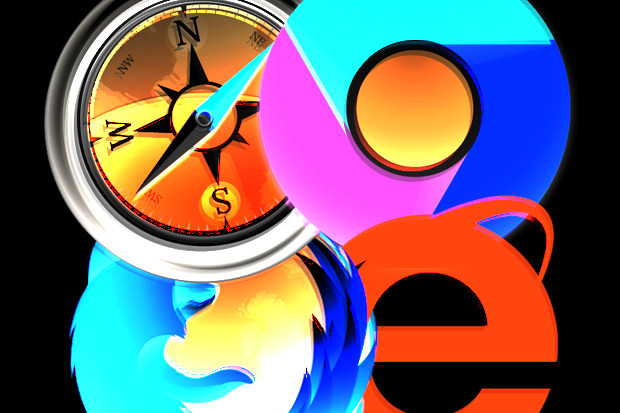 The mandate to upgrade older versions of IE, in most cases to IE11, has coincided with a major decline in IE's overall user share, a measurement generated by Net Applications, which tallies unique visitors to its clients' websites, then reads browser agent strings to estimate the online user percentages running a specific browser family or the editions among such families. According to Net Applications, 51.6% of the world's online users ran IE in September, a six-tenths of a percentage point decline from the month prior. Notable about that number was that it was IE's lowest since its salad days when it beat Netscape into the dirt, lower than the earlier trough of December 2011, when IE accounted for 51.9% of all browsers used. Starting in January 2012, Microsoft's IE clawed back from the brink of minority status with a remarkable and steady three-year share climb that lasted until December 2014, when it peaked at 59.1%. In the nine months since, IE has lost 7.5 percentage points, an amazing amount in the slowly changing browser market, when movements measured in fractions of a percentage point are considered victories. IE has not suffered a nine-month decline of that magnitude since April 2010, when Mozilla's Firefox was charging toward a 25% user share mark and Google's Chrome was barely off the ground. During September, 49% of all instances of a Microsoft browser were IE11, Net Applications said. Substantial factions of the user base, however, continued to run versions slated for shutoff, notably IE8, which accounted for 22.7% of all browsers built by Microsoft. But IE9 (12%) and IE10 (9%) were also used by substantial portions of the Microsoft browser world. Although other factors may have contributed to the decline in IE's user share, the simplest explanation is the upgrade directive. By demanding that users switch from, say, IE 8 to IE11, Microsoft opened the door to alternatives: If users knew they had to change browsers, they seem to have been much more likely to select a non-IE browser, like Chrome, than if Microsoft had let sleeping dogs lie and not forced an upgrade. Chrome has been the biggest beneficiary of Microsoft's must-upgrade-IE rule. In the 13 months since Microsoft mandated IE upgrades, Chrome has gained a whopping 10.3 percentage points, ending September with a user share of 29.9%, its highest ever. Unless Chrome's advance unexpectedly stalls, it will pass the 30% milestone this month. Most of Chrome's gains came from IE, but a bit more than a third originated from Firefox, which lost 3.8 percentage points in the same 13-month span. In September, Firefox's user share stood at 11.5%, the lowest since August 2006. In other words, Microsoft handed a golden opportunity to Google by requiring IE users to upgrade. Although Edge accounted for 2.4% of all browser user share in September, up slightly from 2% in August, its growth appears to have come at the expense of IE11, not Chrome or Firefox. IE11 fell by 1.6 percentage points last month: Part of that decline was probably due to those who upgraded from Windows 7 or 8.1 -- both which used IE11 as their default Microsoft browser -- to Windows 10, and then switched to Edge. Another part of IE11's slide was likely due to deserters to Chrome, with some of those users eschewing Edge for Google's browser when they switched to Windows 10. That was evident in another statistic: In September, Edge was run by 36% of Windows 10 users, down from August's 39%. Browser share is not just about bragging rights; it has a financial impact. Each browser maker tries to steer its users to a different search provider, where customers, and thus the user share, can be monetized through search result advertisements. IE and Edge, of course, default to Microsoft's own Bing search engine; Chrome defaults to Google; and Firefox, at least in North America, to Yahoo. A shrinking share of IE could translate into fewer searches on Bing, with a concurrent decline in ad revenue.